You put your heart and soul into everything you do for your business. But what happens when it’s time for a change? Whether we like it or not, that moment is inevitable—stepping down or scaling back your work due to retirement, unforeseen circumstances or simply a desire to do something different. How can you ensure that those who take the reins will be ready to continue your work? Can your professional (or financial) legacy live on? This is where transition planning comes in. Managing change can be complicated and emotional, especially when that change hasn’t yet arrived. A transition plan outlines ahead of time the procedures for knowledge transfer, shifts in responsbility, financial arrangements and other aspects involved when changing leadership. It removes as much uncertainty as possible ahead of time, providing peace of mind for all involved. We’ll take the next step with you. A transition plan for your business outlines priorities, strategies and procedures for when the time comes (anticipated or not) for you change how much responsibility you take on. It protects your business’s future, the clients it serves and the employees it supports. It also ensures that your family is financially secure and helps protect them from uncertainty or prolonged disputes. Setting transition objectives – Do you want your business to continue without you? Assessment of financial needs – What lifestyle do you want after you step down? Growing your business value – How can you protect and increase that value? Contingency planning (“Plan B”) – What will you do if things don’t go to (original) plan? Sale of your business – How can you get the best sale price and handle the transaction? 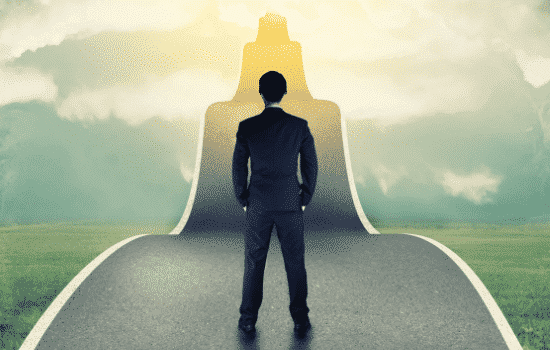 Transition of leadership – How (and to whom) will you hand over the reins? Wealth preservation planning – What are the best ways to make your money last in retirement? At James Moore, we’ve helped business owners navigate these emotional decisions for over 50 years. We’ll work with your financial advisor, attorney and other professionals to make sure your plan is sound and everyone is on the same page. Contact us to see how we can help you and your business prepare for the future.